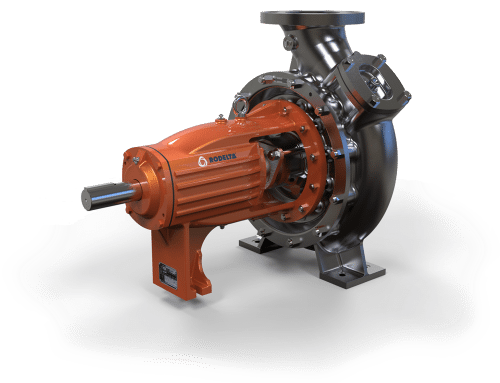 The pump type FN (OH1 vortex pump) is a single stage end suction pump with radially split case and vortex recessed impeller. 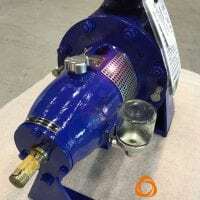 It is designed to handle fluids containing large solids without clogging (up to the full diameter of the discharge); fragile solids, such as crystals, carbon and even live shellfish; abrasives; as well as long fibrous materials. The ideal solution for low shear applications. Mode of operation, the vortex impeller produces turbulence in the casing, which extends into suction pipe. As a result of this, a strong suction effect is imparted on the liquid-solid mixture. The centrifugal force caused by the turbulence transports the solids to the delivery branch within almost single revolution. The shape of the casing walls enables a high percentage of the solids to carried with air or gas. 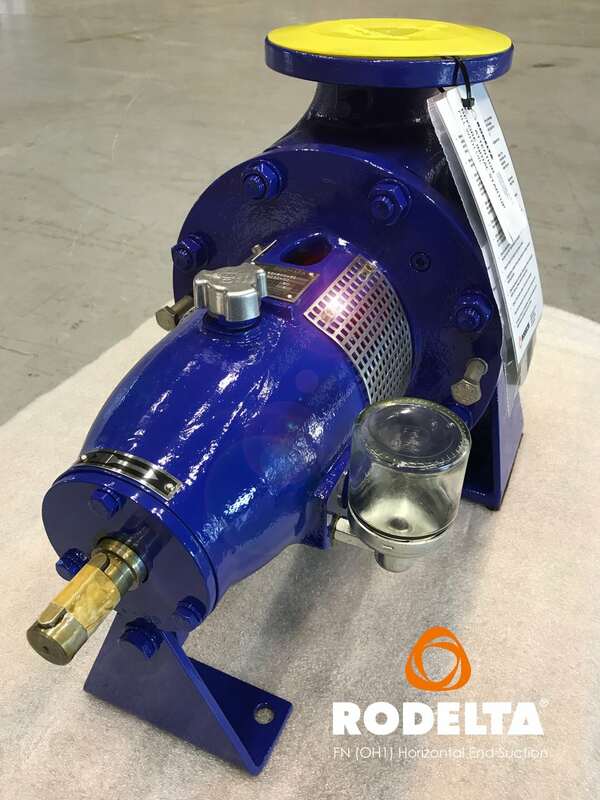 Since the fluid being handled does not flow through but alongside the open disc impeller, blockage is completely ruled out. 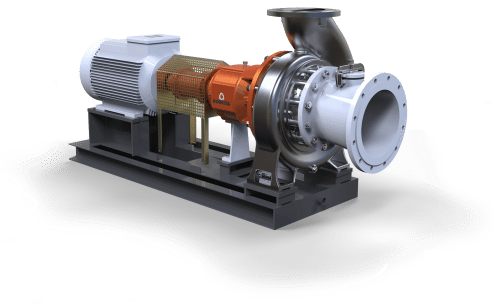 The solids entrained with the liquid have hardly any contact with the impeller and are also not damaged in any other way. 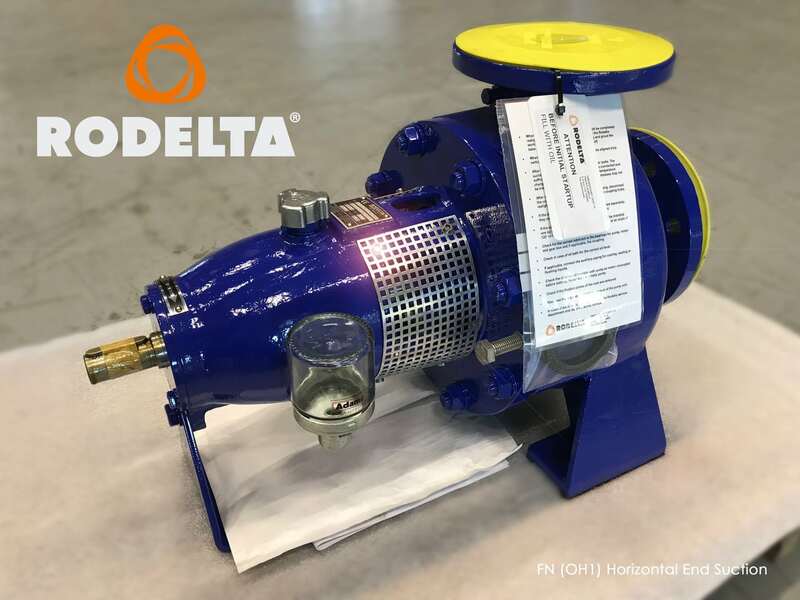 This pump its part of the Rodelta on stock program. Low radial loads extend bearing and seal life. Fibrous – Textile, leather, rubber shreds, wood chips, straw & pulp, chicken feathers etc. 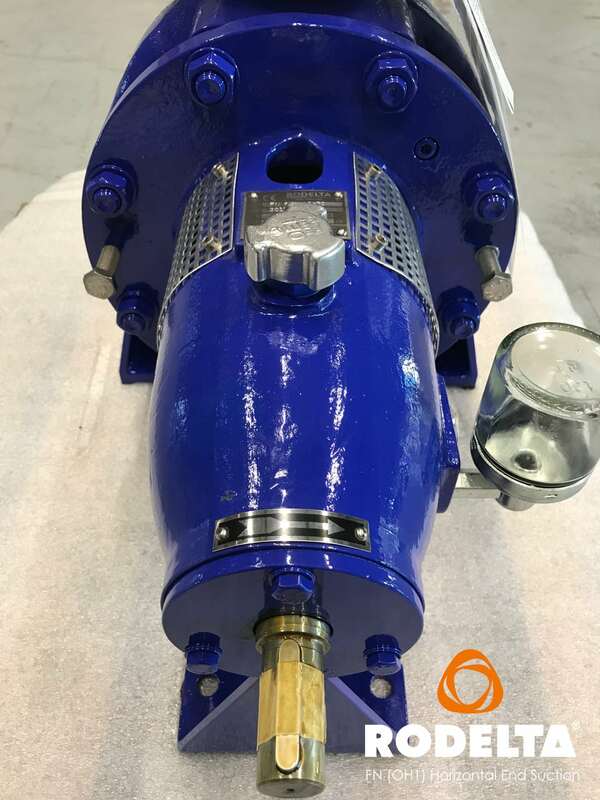 The pumps consist of only three major components, namely the casing, vortex impeller and the bearing pedestal with shaft. The casing is provided with a large regular passageway, which facilitates unrestricted flow without any sudden change of the direction. The limited amount of contact between the medium and the casing walls means that the wearing plates and sealing rings are not required. 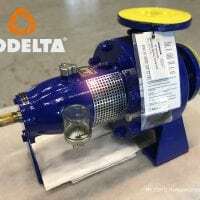 A seal ring with seal liquid connections prevents air and contaminants from entering the stuffing-box. If required, a mechanical seal can be fitted. Vortex impeller, the open impeller with streamlined hub cannot be blocked up. 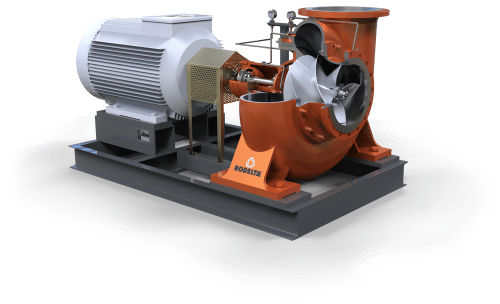 There is not under pressure behind the impeller, and so solids entrained with the liquid be deposited in this area. Due to the large clearances employed, there is no danger of seizing up. 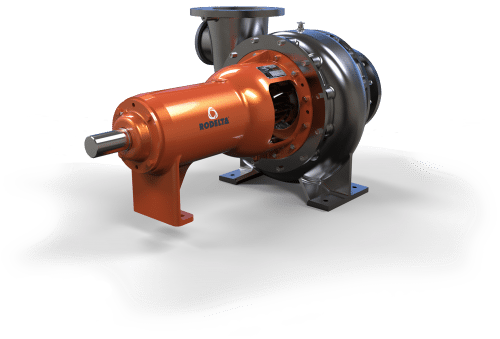 Normal wear of the impeller has practically no detrimental effect on the discharge rate and delivery of the pump. 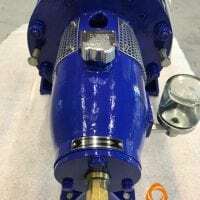 Bearing pedestal, the pump shaft is seated in two robust, grease lubricated ball bearings, and protected in the stuffing box by means of a replaceable shaft sleeve. The bearing space is hermetically sealed with V-shaped rings. The bearing pedestal and impeller can be removed as an integral unit in the direction of the drive side. As a consequence of this, the pump can remain in situ, and there is no need to disconnect any pipework. 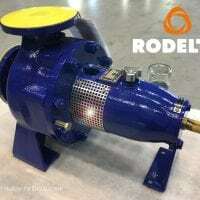 The pump casing and impeller can be supplied rubber lined (vulcanized) upon request. 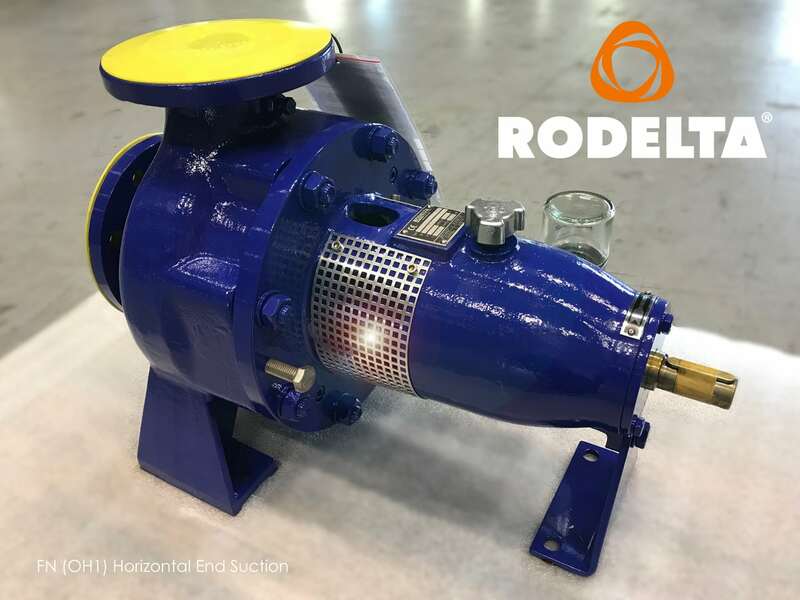 Rubber lined option available for duties in which large solid content is involved The pump casing and impeller can be supplied rubber lined (vulcanized) upon request.